Those new slot releases will just keep you as fresh as a daisy. Learn what’s new and hot in the stories behind the creation of the Raging Rex, The Great Pigsby, The Wiz, Strolling Staxx Cubic Fruits and the Shogun of Time in this short, but most importantly, entertaining piece of writing. 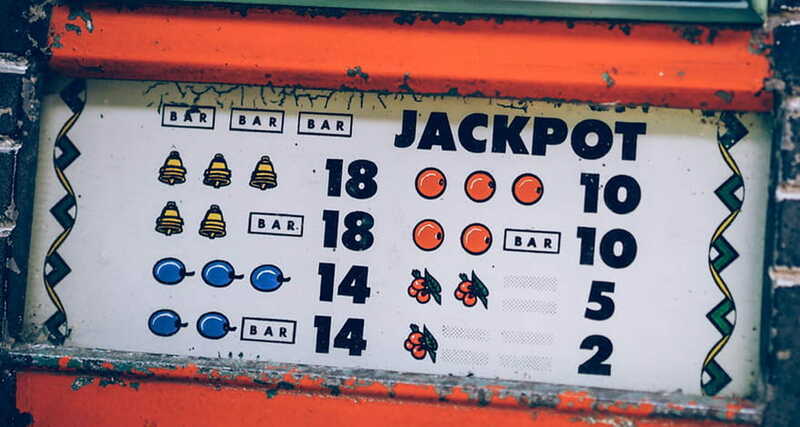 We discuss all the essentials in a slot like pay-out rates, the frequency of notching up a win and visual illustrations. Moreover, you will discover that the listing contains games of 96% RTP and adventurous hints. You would also get to know the betting limits for each one of them. So, take a deep breath and plunge into our precious collection. Also, give them a try for free – no deposit or credit card required at the selected casino partners. Dobby Has No Master. Dobby Spins for Free! Since human nature is a one of greediness and ever-lasting passion, so are we hungry for new slot publications. Not only that we have been waiting for the top state-of-the-art title games across the UK like a warm loaf in the morning, but we’d also like our loaf for free. Therefore, this short post is dedicated to video slot fans and all other enthusiasts who are just as avaricious, stingy and craving as we are, the crew members of slots.info. We investigated the new slot sites where you can play for free but also looked at a few slot games that instantly caught our lovingly glances. And as my boss likes to say- less talk, more writing… which is basically the same thing… but who am I to contradict them…?! Anyway, here is our list of newest UK slot titles and recommendations where to spin for free with no deposit, no account and no credit card registration. The release date of the furious and unforgiving Rex, a famously known carnivorous dinosaur, was on 10th of January this year. Only two weeks early before it falls into the tope dope newest slots category. And of course, every new slot site got hold of it. The Raging Rex gives a pay-out of 96.46% meaning £964 return on each £1000 stacked over time. Besides, the slot comes with a high variance. In other words, the slot gives away winning combinations more frequently than those with low/medium variance. The reels are 6 while rows are 4. Betting limits are between 0.20p and £60 per spin. The game is fully optimized for your mobile device – a phone or a tab. It’s classified as a video slot as it possesses animated graphic, background sounds and burning comets! What is there more to ask for in a purely animalistic slot with lots of elements conveying the message of destruction! You would be able to get ranging spins, scatters, wild Rex multipliers and precious gem stones containing extinct insect species. The greatest combined multiplier you can get is up to 5000 times your bet amount. Down below, you can find casino providers where you can make the Raging Rex to actively exercise its running and spinning for free. Sadly, if you would like to take part in the bonus scheme of the casino, you would need to register and deposit. Still, you can give the game a try with no deposit and no card details attached. Okay, when looking at this video slot game, my first impression is that this must be the Great Gatsby story told in a game, but as a replacement for the human-being Gatsby they hired a downright pig to play the role of the notoriously recognised and lavish life of the real Great Gatsby! Quite a fascinating approach to designing a novel slot I must say! 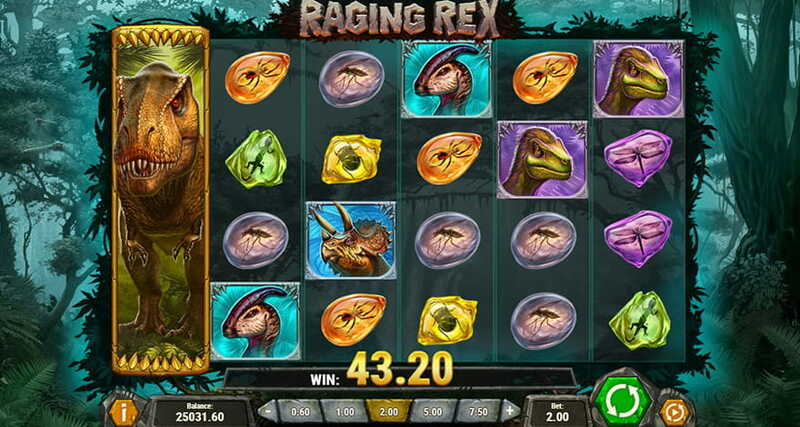 Ah, the slot was launched just a day earlier before the Raging Rex appear. Perhaps, not a smart move to let a posh pig in the city while brooding dinosaurs roam in the wilderness. Yet again who am I to judge?! The slot has an exquisite appeal and very high-class standards. The pigs are still an odd element for me. But I must admit if you do not think too much about it, it is actually a pleasant game that reminds you of the Gatsby’s great past – glamour, party glasses, outdated phonographs, the Hamptons estate and pig statutes in front of it! How romantic! The background sounds are in perfect combination with the ambiance like a roasted goose with chestnut-pear stuffing would do. Technically, the slot has a good return to player percentage -96.55% while variance remains medium. The layout consists of 5 reels and 3 rows. 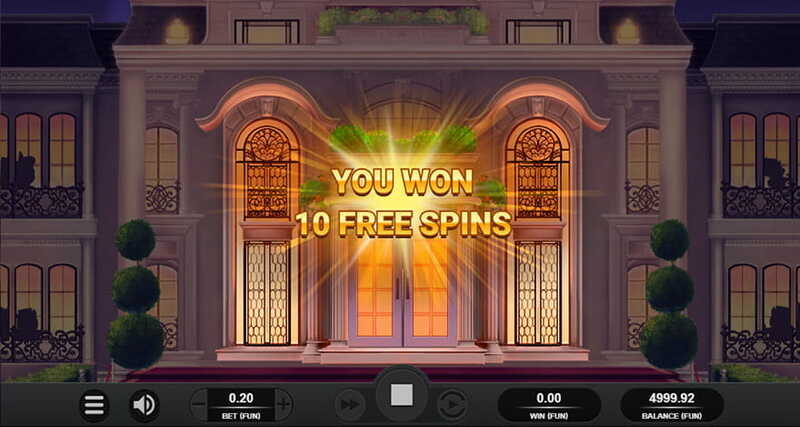 Besides, the play incorporates a few different kinds of free spins that you win including simple free spins, wild re-spins, the Great Pigsby spin. You can also combine symbols and get the wild Piggy Bank symbol. More, party equipment and Mr and Miss Pigsby’s iconic expressions bring multiplier points as well as the polished letters do. Obviously, when you nail the wild symbol twice you get inside the Hamptons estate for your festive 10 free spins. Betting ranges from 0.10p to £200 per spin. Find casino suppliers where you can play the Great Pigsby for free here. You can also spin mobile through your internet browser. This is your classic number one middle-aged slot that oozes adventure, excitement and magic. It has potions, mystic Moon and mighty Sun, wild multiplier dragons, treasury boxes and so many keys that you hardly recognize the one that fits precisely. The video slot was published on the 9th as its Pigsby ancestor. The theme is very calming. You can hear birds signing and spot the castle behind the reels. Additionally, it creates a feeling that you are in a time machine that leads you back to the 1398 when witches were burned, and dragons were ruling the from West to East Midlands. Though, the Wiz is there to fix the situation and save the peoples from the grave faith of plague and chivalrous sword duels just as usual. On another level, RTP is also good about 96.01% while pay-out frequency is medium to high. The reels are 5, rows – 4. The game is available on mobile as well. Minimum bet is 0.2p while the maximum reaches a score of £100 per spin. Bonus symbol displaying the ancient Wizzard, a symbol of maturity and authority, brings from 1 to 10 spins. 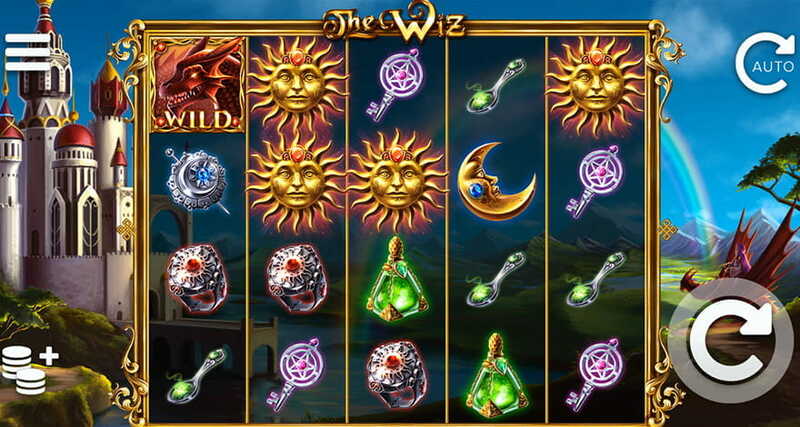 The dragon head is a multiplier sign with ability to multiply your winnings from 2 to 5 times. Low value symbols like cutlery, rings and warrior shilds have the swapping capacity for a high-value symbol- Sun, Moon, Treasury Box and the Crystal Pyramid containing the cure to all evil. The game has some extra functions called the Leveller and the Booster. The first option raises your rank 2 times after 5 consecutive bet losses. The second quality raises the level once to reach 4 levels above the initial bet. The Jumper provokes 1 level up after every winning round to get to the 4 points and above again and resets after a loss. Here, you can check where to test the game for free. 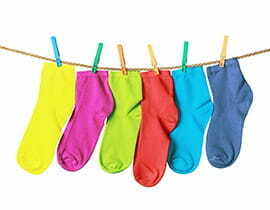 It would be an unbelievable classification without a single fruity slot. Therefore, the new fruity play by NetEnt adds freshness to the colourful and yummy slot category where a well-known Berry Burst slot is still pretty much the norm and ruling over others in the fruit kingdom. 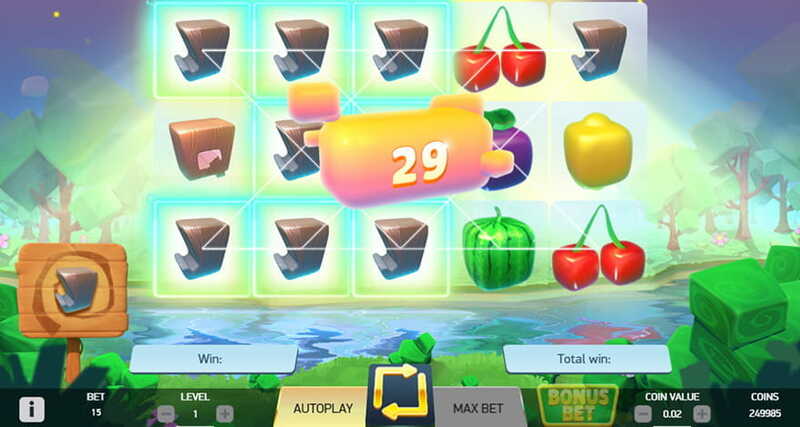 The cubic fruits are packed not with vitamins but rather a daily dose of free spins, bonus bets and pay-out values. This one is a classic design slot with 3 reels and 5 rows. The only thing missing is the coin operated fruity machine to insert your 0.20p bet. Though, you may be able to find the game in a local casino. NetEnt is among the best slot producers and live casino entertainment as well. So, they are quite popular across the UK casinos. On the picture, I’ve unlocked my re-spin feature and did a few re-spins winning the total sum of 80 coins. The dominant hint in the slot development is again nature centric theme. Yet, it is somehow fun, innocent and entertaining like child’s play. The graphics are crystal-clear, tree crowns shaped in a cubic form and fruits are plummeting in the river stream. It is a suitable game to lift your spirits. The RTP rate is 95.95% while winning odds tend to happen with medium to high variance. The official date for the game launch was just over a month ago, on the 24th of January. You can find the demo version at Fantasino, Slots Million and Casino Cruise, no account and no deposit needed. Surely, there were also some exciting releases filled with dangerous levels of passion and drama. Though, right now, I would like to focus on the most recent slot launch, Shogun of Time, that has been over a week now, but it is hitting the slot competition hardly. I believe the slot is going to be the substitute for Starburst in 2019. It owns two distinct qualities – the futuristic theme and exotic traits. In fact, the video slot is very simple. It features different element when combined together they bring your reel split re-spins and free spins. You may also notice the Japanese traditions twisted with a technological progress. It is a rather quirky but cool combo. It is worth the efforts. The return to player is 96.02%. Your odds for getting the re-spin bonus activated are about average. The layout includes a transparent 4-reel grid with 3 rows. Besides, there is this purple lightening and circle centred zone where the grid is located like in a cylinder for an indoor skydiving but without the glass frame. The minimum bet is 0.10p while the upper limit reaches a maximum of £100. And I know I said this would be no deposit no account free gaming blog and all casino brands mentioned here provide the free access. 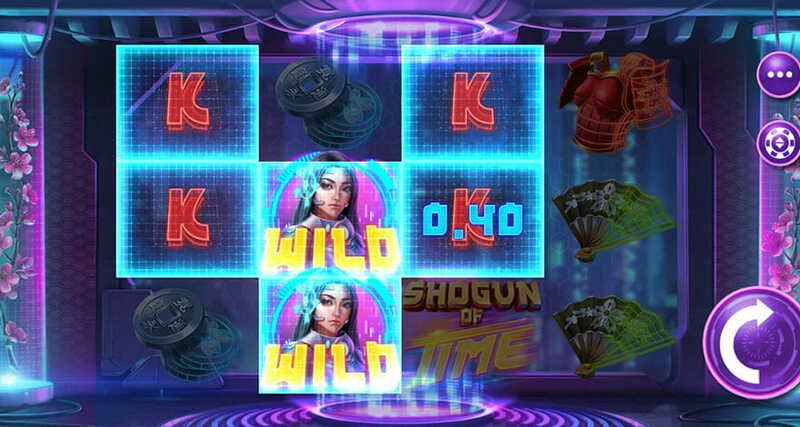 Nonetheless, it is worth mentioning that at some casinos the Shogun of Time slot is on promotional terms, so you can get a few additional free spins when you decide it is time to play for real. Star Wars Episode IX – Where to Place Your Bets?